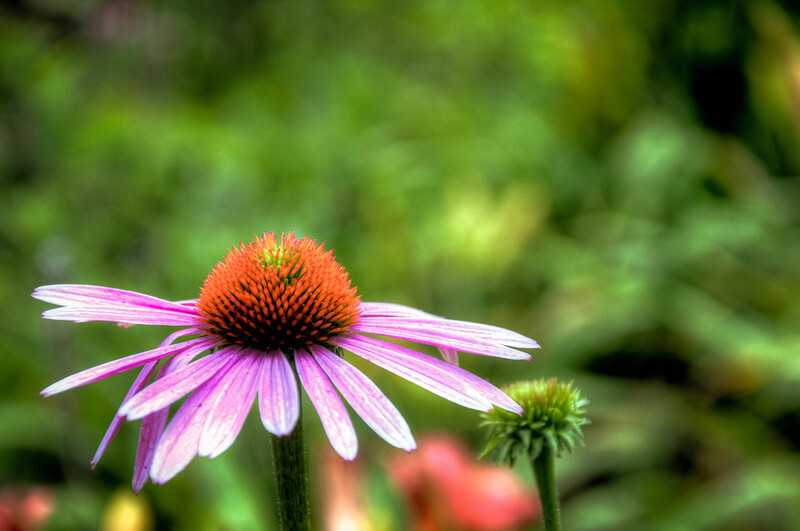 Echinacea | Just Shooting Memories! This is another of the flowers on the property. I had no idea what type of flower it is. That is, until Google. I guess this is the most known flower with pink petals and an orange center. Regardless of the name, it is still a beautiful flower.